El Arco de Santa Maria is an iconic entryway into the old city of Burgos. A spire of Catedral de Santa Maria de Burgos looms behind, protected by the ancient walls of the city. 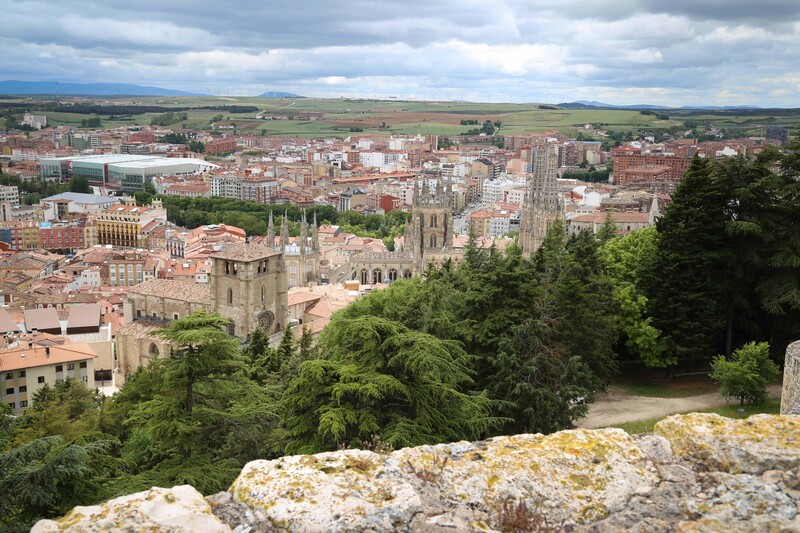 The ancient fortress that once protected Burgos provided an excellent vantage to see beyond to the fertile plain where people have been growing crops and raising food for millennia. El Arco de Santa Maria is an iconic entryway into the old city of Burgos. 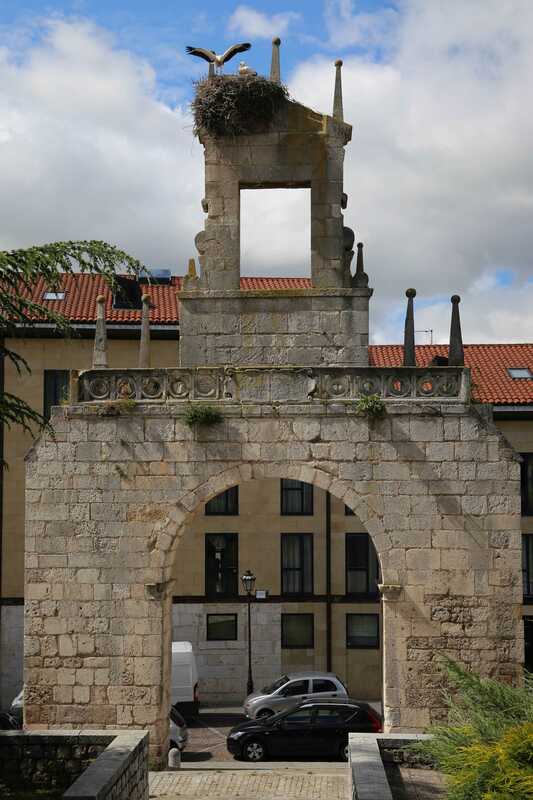 One of 12 gateways into ancient Burgos, it has been in use since the Middle Ages. In addition to its ideal location, Burgos has been an important contributor to the character and history of Spain. By the time Romans arrived during the era of Pax Romana, this part of what is now Castile and León had been settled by Celts. The ensuing centuries saw wars waged by Visigoths, Suebi (Germanic tribes), and even Berbers. The Moors would control much of, then progressively smaller amounts of what is now modern Spain, for 300 years. Around 884 AD Burgos was founded as part of an expanding Christendom, and by the 11th Century it was part of the Roman Catholic Diocese of Burgos. In later times French ambitions included control of parts of Spain, and during the regime of General Francisco Franco (1939 – 1975), Burgos was the capital of his rebel Nationalist government. Catedral de Santa Maria de Burgos is such an important cultural and historic focal point that UNESCO named it a World Heritage Site in 1984. On many Saturdays, especially during summer, weddings are held, one after the other, each no more than an hour long, from morning to late afternoon. A smiling bride-to-be and her fiance pose for wedding album photos while a groomsman paces and waits. Aside from wars and land grabs, Burgos was the site of other significant political events, and the home to important Spanish figures. For example, a misguided effort to provide human rights protections to indigenous peoples of the conquered lands in the New World, the Laws of Burgos were promulgated in 1512. 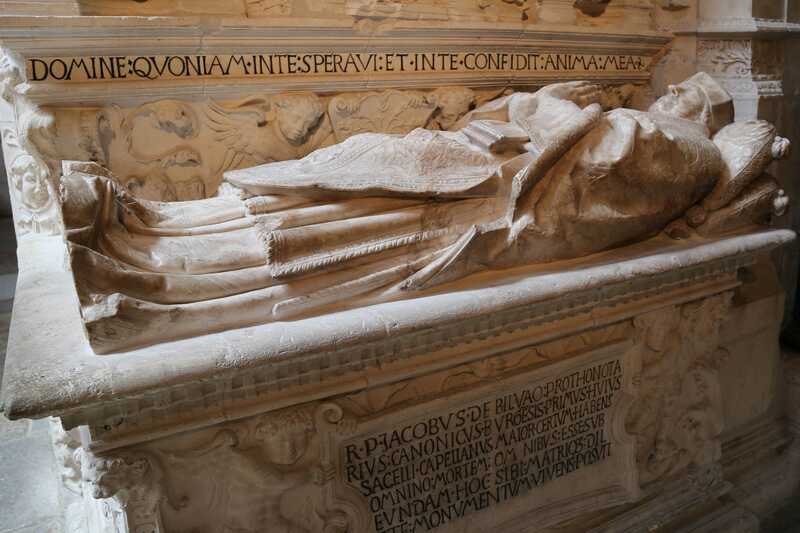 The brilliant military tactician and warrior, El Cid was born near Burgos and is buried in the Cathedral. 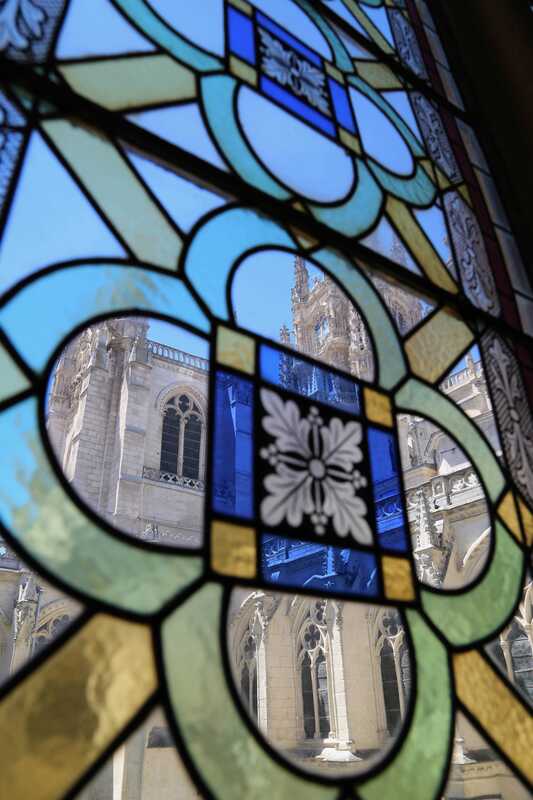 Architecture from across the centuries can be seen in many spots in Burgos. This portion of a wall from the Roman Empire shows its age and the quality of its construction. It also serves as the summer nesting home for African storks that make their way to spots throughout Europe to lay, hatch, and rear their young before flying south. Burgos is also home to many highly-regarded churches and an important cathedral, Santa Iglesia Catedral Basílica Metropolitana de Santa María de Burgos, or more commonly known as the Cathedral of Saint Mary. 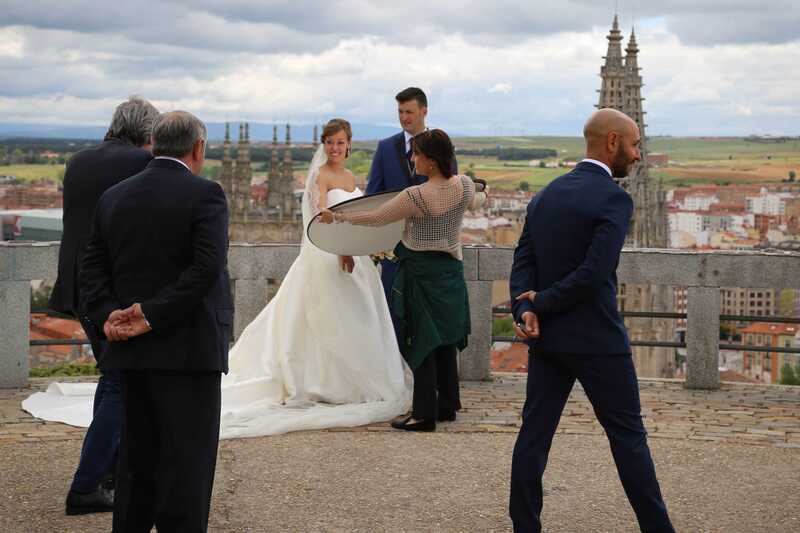 During the summer wedding season, the churches, and particularly the cathedral, are in-demand venues where couples affirm their marriage vows. Saturdays are an hourly procession of one wedding after another, giving attendees and tourists plenty to ogle. When the cathedral in Burgos was completed in 1567, Spain was ascending in power and riches, fueled largely by plunder from the New World. 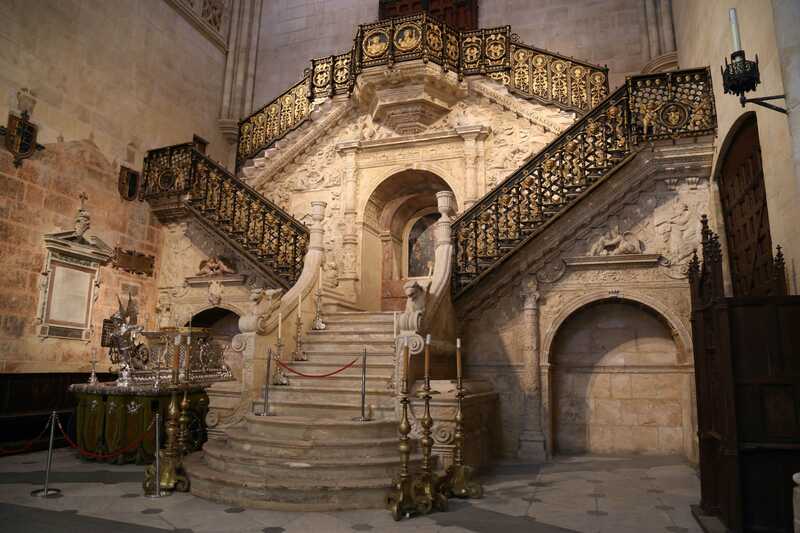 There was plenty of money to pay for intricately-carved grand staircases and silver pieces. This heavily carved bifurcated staircase is designed to impress and make a grand entry — or exit. Burgos lies along part of the northern route of the Camino de Santiago, which ends at the Cathedral of Santiago de Compostela in northwest Spain. 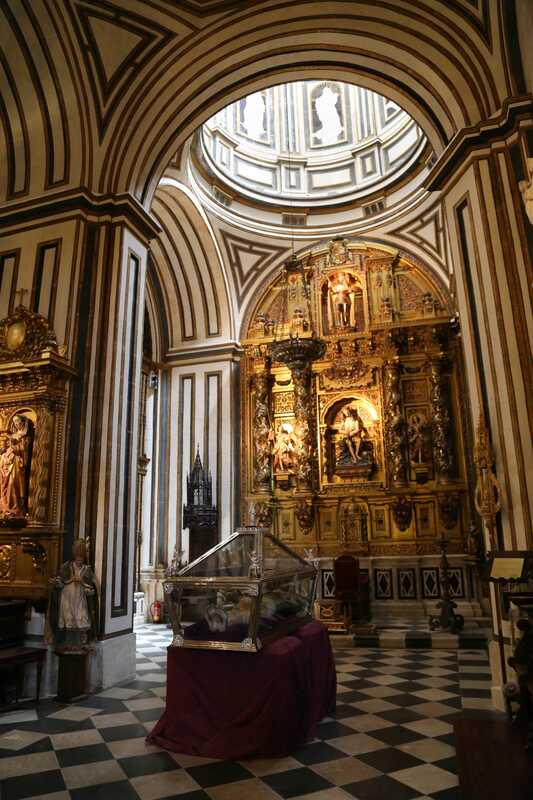 Both the Cathedral of Saint Mary and the Camino de Santiago are UNESCO World Heritage Sites. The gold was likely from indigenous peoples of the New World who had been brutally conquered by Spain. 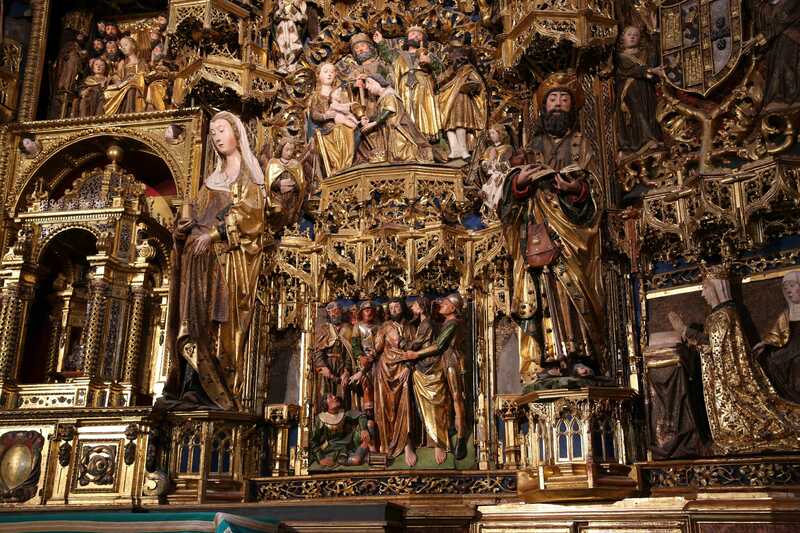 A church in Burgos includes a heavily carved element behind the altar, telling stories of the Bible. 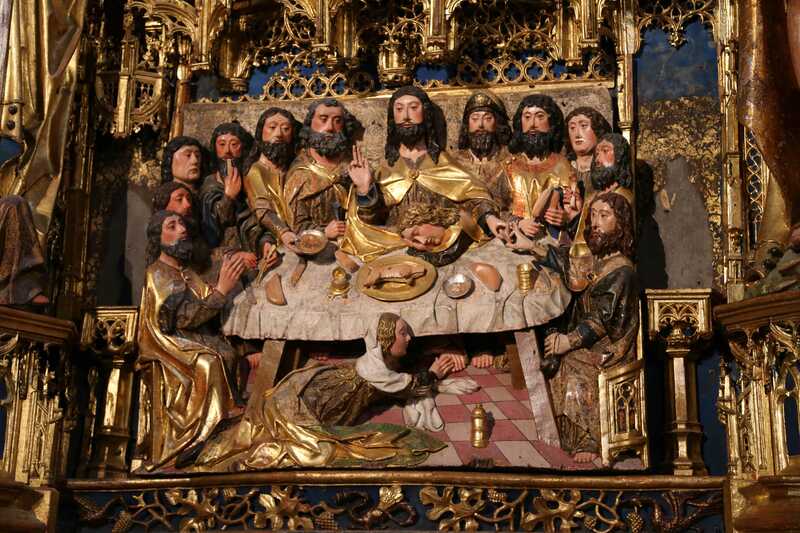 This depiction of the Last Supper appears to hold an ominous meaning in the the fact there are only 11 Apostles with Jesus, but a severed head rests on a platter. An important reason Burgos feels different from other popular tourist locales is because of El Camino de Santiago. In 2017, upwards of 300,000 pilgrims trekked along the Camino which snakes through the center of the city; more than 90 percent travel on foot and many pass through the city. Travelers are guided by distinctive yellow arrows and scallop shells that mark the way. Thus, Burgos is an important way station for pilgrims to gather, rest, and resupply for the final 287 miles of their journey. Pilgrims are a mélange – people of all ages, and varying degrees of fitness, but all can be identified by their hiking boots and the bulky backpacks that weigh them down. In 2010 the pilgrimage was popularized in a movie, The Way, starring Martin Sheen and his son Emilio Estevez, and directed by Estevez. 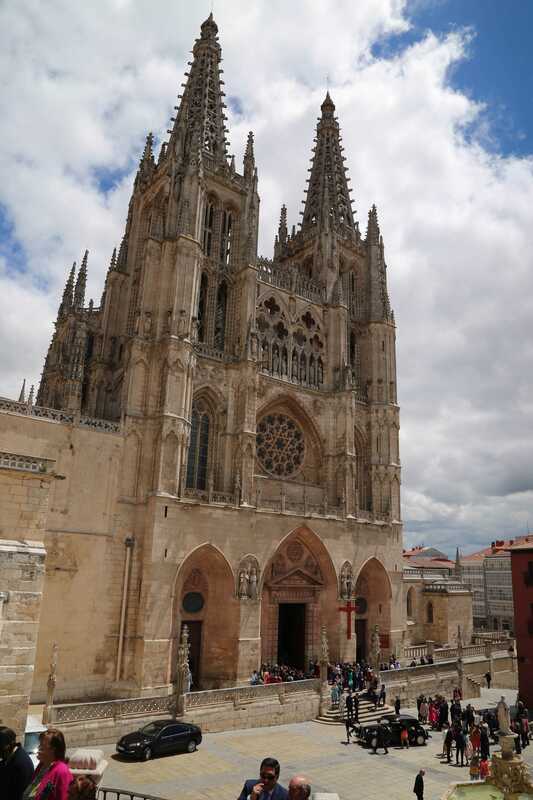 Burgos has a number of churches and cathedrals throughout the city, which is also a way point for pilgrims trekking along the Camino de Santiago. 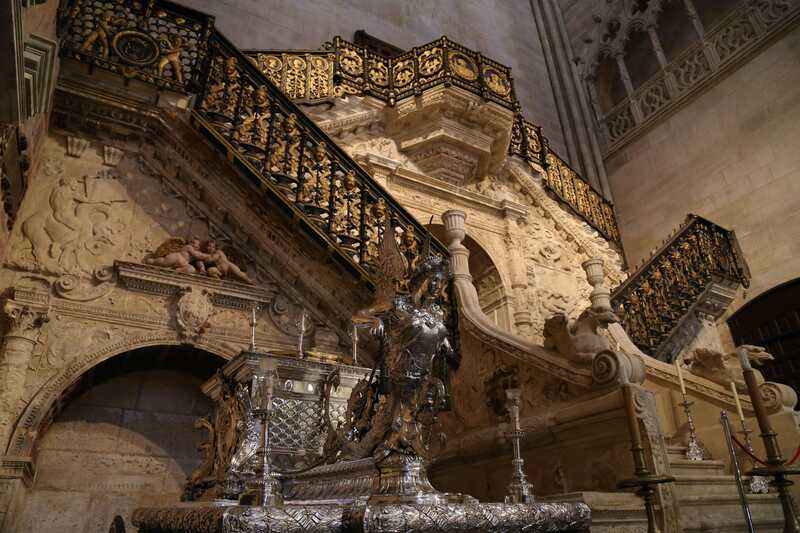 The honored and revered received special treatment in elaborate tombs in Burgos’ houses of worship. 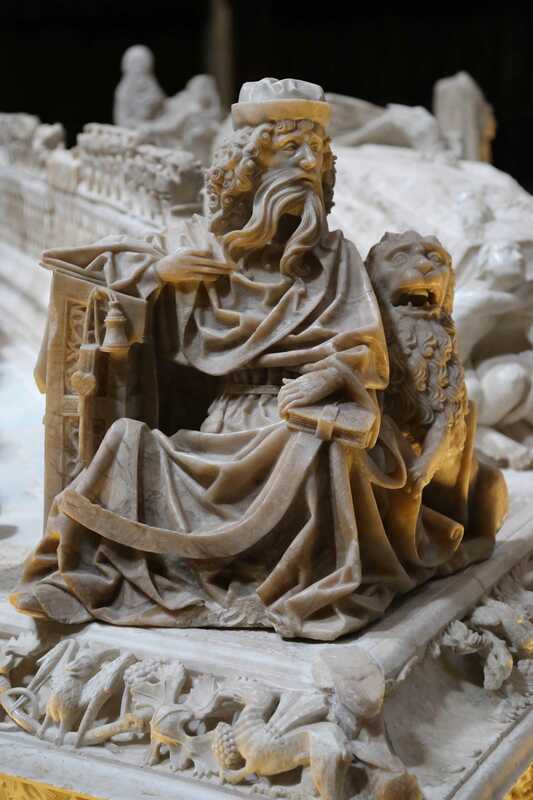 Iconography and elaborate detail can be seen throughout the cathedrals and churches in Burgos like this small hand carved element on the corner a tomb. 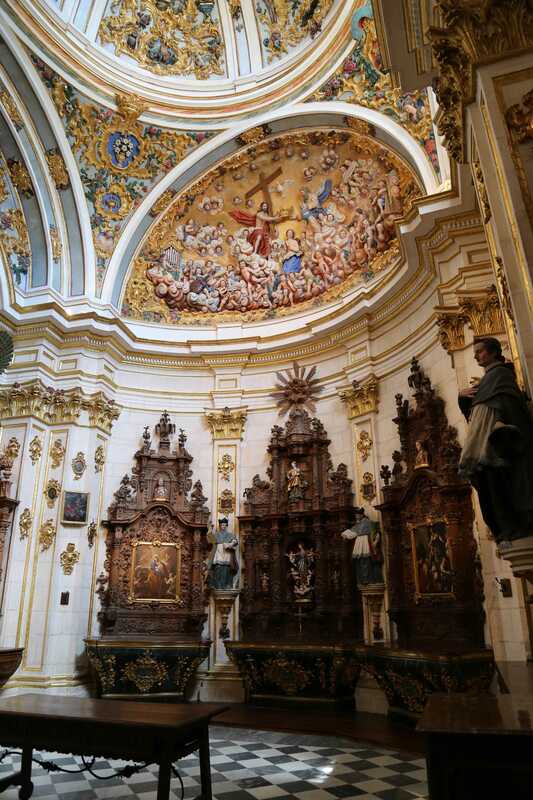 Colorful paintings adorn the ceilings as icons and holy relics rest inside one of the many churches of Burgos. 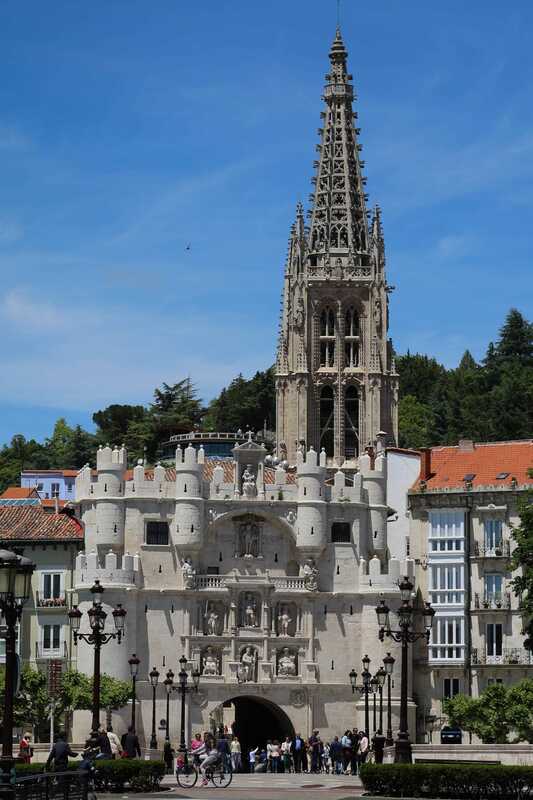 Today, Burgos, and the surrounding area has a population of approximately 200,000 and the city is popular with visitors, Spaniards and international travelers alike. 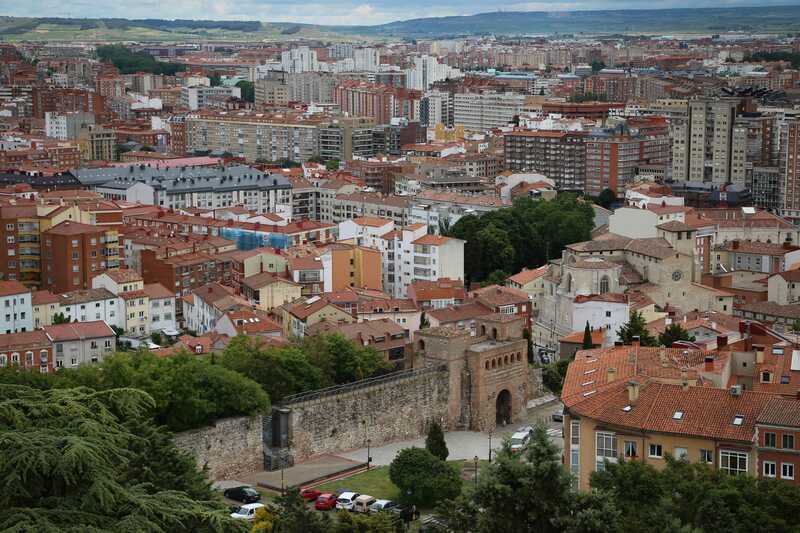 But because Burgos has a diversified economy, the city and surrounding area do not feel like a tourist mecca. Beyond tourism, economic sectors include agriculture (primarily wheat and also wine), industry (including assembly of automotive parts), and other goods and services. There are two universities in Burgos. Outside the walls of the old city of Burgos, a thriving city of 180,000 people live, work, and raise families. From a tourism perspective, the cathedral and churches are certainly anchor attractions, but Burgos is also replete with architecture dating back to the Middle Ages. 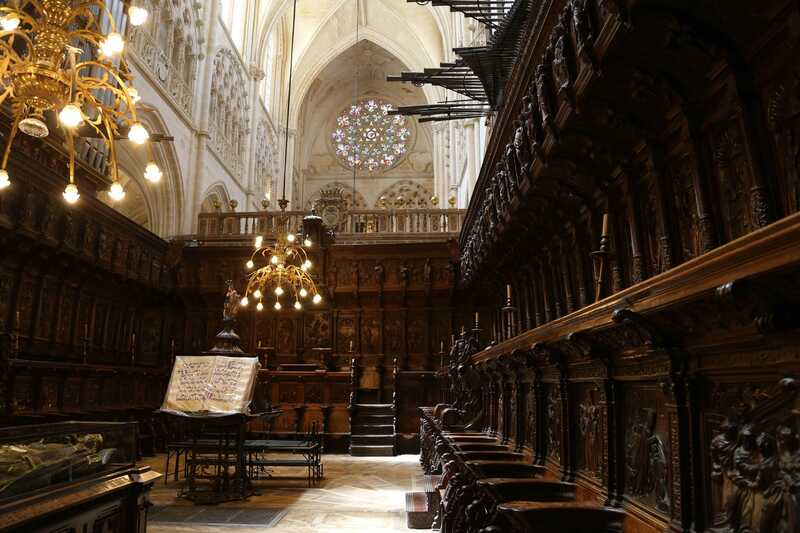 There are museums devoted to the history of Burgos, a museum devoted to books, and a recently-opened museum focusing on human evolution that is one of the few museums of its type in the world. Just outside the old city of Burgos is Paseo del Espolón which runs along the crystal-clear waters of the Arlanzón River, and it is a popular spot to stroll and relax. 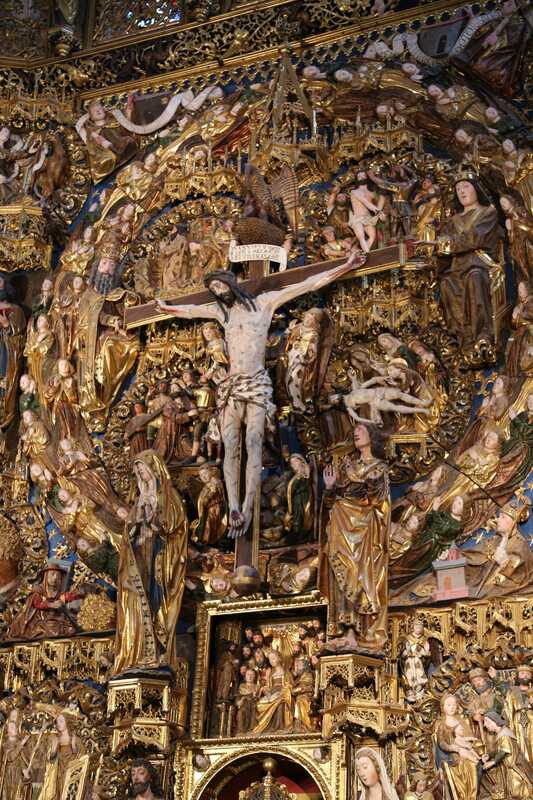 The pious and powerful have occupied these chairs for centuries, handing down edicts and determining the course of faith in the Spanish Catholic world. 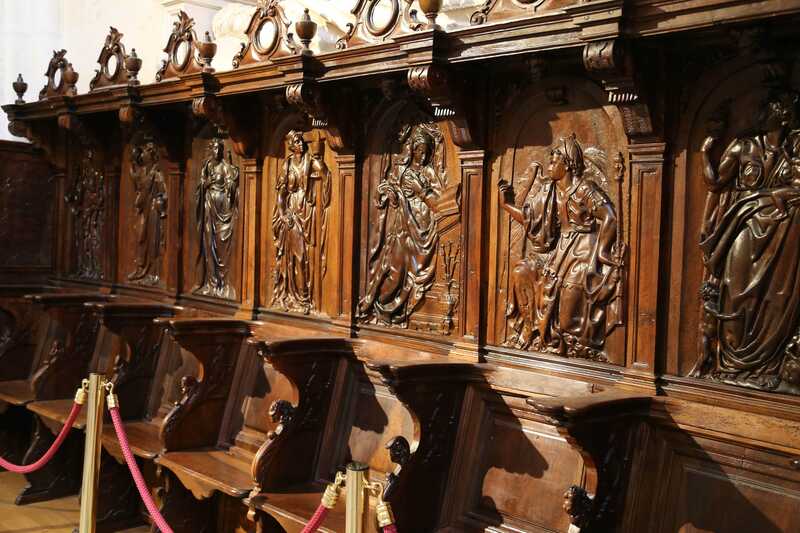 The back of each seat is intricately carved and depicts different scenes. Most visitors to Spain usually seek out the best-known locations – major cities and popular coastal resorts, for example. 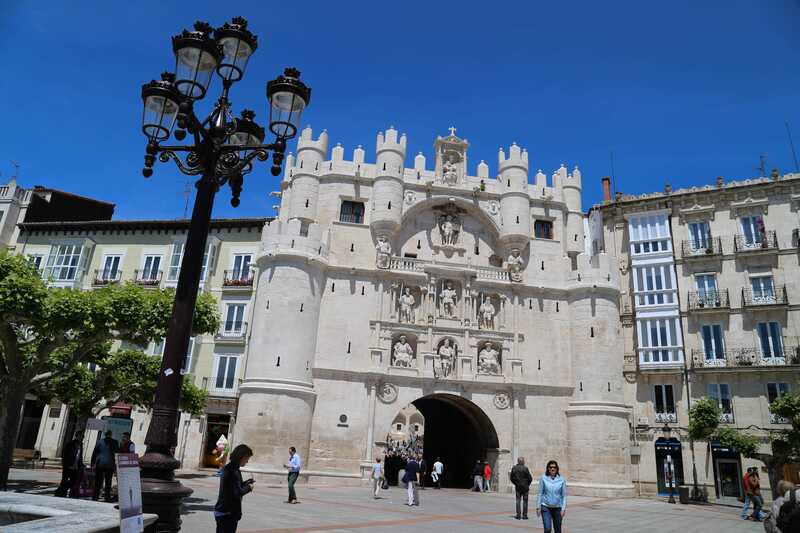 But a visit to Burgos is sure to engage and fascinate both first-time and repeat visitors because it is a place to soak in some of the Old World culture of Spain. Catedral de Santa Maria also has a cloister and this is a hallway within the complex. 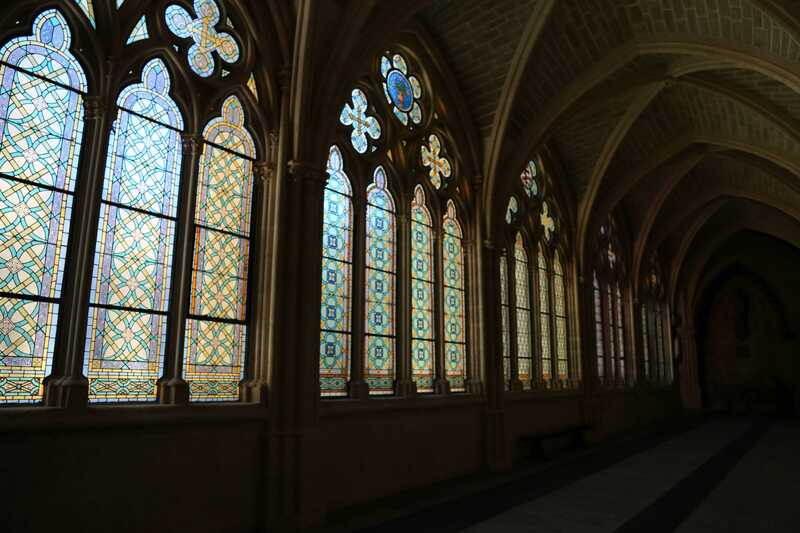 A pane of glass in the hallway of the cloister offers a view across the courtyard and to the Catredal de Santa Maria.